As Baby Boomers move into retirement, construction companies are scrambling to transfer knowledge from seasoned pros to the next generation of workers. This is especially important as the hiring pool for the construction industry dwindles—The Manpower Group found that 40 percent of employers have difficulty filling roles, and skilled trade positions – electricians, carpenters, welders, etc. – are the hardest to fill. Without a proper, well defined strategy to share that tribal knowledge with younger generational workers, companies suffer from both a decrease in the number of workers and a decrease in the level of talent and expertise. How does corporate knowledge loss impact your business? Knowledge is an important building block of any company’s competitive advantage. But unless knowledge is effectively shared among employees, it can’t be fully utilized. In the construction industry, seasoned workers with years of job experience are the gatekeepers of their company’s knowledge. When they turnover or retire, it can severely impact the business if a plan isn’t in place to ensure their know-how is passed on to other employees. These pain points translate to lost dollars —HBR found that the cost associated with losing subject matter experts (SMEs) could be estimated at up to 20 times higher than typical recruitment and training costs. Creating a formal offboarding process is crucial to protecting tribal knowledge from literally walking out the door. Without a formalized process, knowledge transfer often takes a backseat to more time-sensitive priorities. While capturing employee knowledge during offboarding should be part of the process, successful companies begin to transfer knowledge from expert employees well before they give notice and get ready to depart. The following three ideas ensure that knowledge is captured and shared continuously throughout an employee’s career. In construction, employees are often spread across the jobsite, with little insight throughout the day into what is going on in other areas of the construction zone. Outside of an early morning huddle, most don’t have an easy way to access important safety information, troubleshoot and problem solve in real-time, or to simply connect with coworkers that they don’t work with directly. Communication and collaboration technology can give construction companies a way to connect and engage employees so that everyone is safe, informed, and productive. This is crucial on multiple levels. It gives your company an advantage when recruiting new hires who are naturally tech-savvy. It boosts engagement and retention levels, and it provides a mechanism for teams to share on-the-job knowledge and hacks. Job shadowing allows employees to learn the ropes from an experienced coworker. It’s important to match new technicians with seasoned pros who are willing and excited to share what they’ve learned over the years and provide hands-on training. Even if new workers have previous experience, there are still new types of equipment to get familiar with, company processes and protocols to learn, managers and teammates to get to know, and so on. Adding job shadowing to your company’s formal onboarding process is a great way to transfer knowledge from the very get-go. The next step is to make this kind of learning available throughout your employees’ careers by setting up a formal mentoring program to ensure knowledge is continuously transferred from subject-matter experts to the next generation of workers. Quarterly or monthly “critical incident” sharing is a great way to keep the information flowing while also being able to document knowledge and store it in the company’s content repository. The idea behind this is to send out surveys to veteran employees where they describe the most difficult situations they’ve encountered on the job, why they were so difficult, and what they did to resolve them. The answers can then be collated together into a document that is shared with all employees. Additionally, insights from such survey results can be used to create new training curricula. As your skilled workforce ages and begins to retire, it’s imperative that their knowledge is transferred to the next generation, as well as is captured by the company and leveraged for improved training and onboarding. Leveraging communication technology, on-going programs and a culture that values and encourages peer-to-peer knowledge sharing are key to ensuring knowledge isn’t lost as employees retire or turnover. Stacey Epstein is CEO of Zinc, a communication platform for deskless workforces. 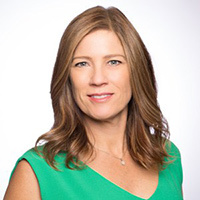 Previously she was CMO at ServiceMax, acquired by GE for $1b; and VP global marketing at SuccessFactors, acquired by SAP for $3.4b. Stacey was a four-year all-conference soccer player at Emory University, and is a prolific writer on leadership, technology, and innovation.